Public libraries in each community provide a wide variety of resource information and special programs for residents from lectures, adult and children's film series, to readings and craft activities for children. To apply for a library card you must show proof of residence in that town by showing a rent receipt or a telephone or electric bill. Check for the public library nearest you. Many communities offer adult education courses on a variety of topics. The school department of a community often offers such programs. The Cambridge Center for Adult Education, Boston Center for Adult Education, and the MLS English Language Program offer adult day and evening classes. You can pick up a copy of the course catalogue at the respective schools. Adult education courses are offered at many schools or associations in the Boston area for academic credit or non-academic credit. The Massachusetts Department of Conservation and Recreation offers many outdoor programs. You can also call the recreation department in your town for information about programs. 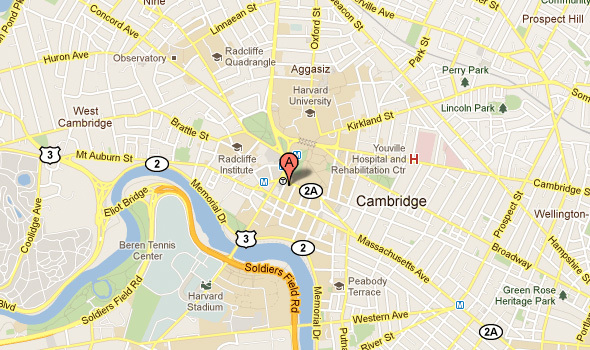 Click on these links for information about programs in Cambridge and Boston. The most popular grocery stores in the Greater Boston area are Shaw's, Market Basket, Whole Foods and Stop and Shop. Stop and Shop has a grocery service where you go on line and submit a shopping list and they deliver your groceries to your home. Market Basket has very reasonable prices. Whole Foods is relatively expensive but offers a large selection of organic items. All these grocery stores have deli sections where you can by prepared food; some have salad bars as well. During the harvesting season there are many local farmer's markets. Many of these markets are located in Middlesex and Suffolk counties, where many Harvard affiliates end up living. The prices of the produce at these markets are comparable to the grocery stores. Haymarket is a market located in downtown Boston and opens on Friday morning and closes on Saturday evening. There are Halal and Kosher markets as well. There is a Japanese super market in Medford EBISUYA.